Features Unique, Black, Orange, Pale, Top Navigation Bar, Custom Menu, 4 Column, Gallery, Free Premium, Elegant, Fixed Width, No Sidebar etc. 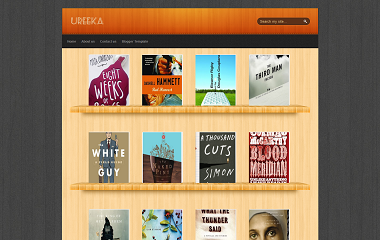 This is a theme that you can use to run a book review site. Upload a template from a file on your hard drive (.xml file extracted): click Choose file option button. Now click Edit HTMl tab. Click Expand Widget Templates tab. Now find html source ctrl+f url given below. Now you need to change given above logo image URL with yours. Go to New Post / Edit Posts tab. I think you are using the simple version just switch it.